1. Locate information about immigration in the United States from 1860 to 1900. Use the links to the right. 2. Create a story of an immigrant's journey during this time. Transportation, shelter, locations, workplace, etc. 4. Plan your tour determining locations, etc. See box below for directions about how to turn into Canvas. 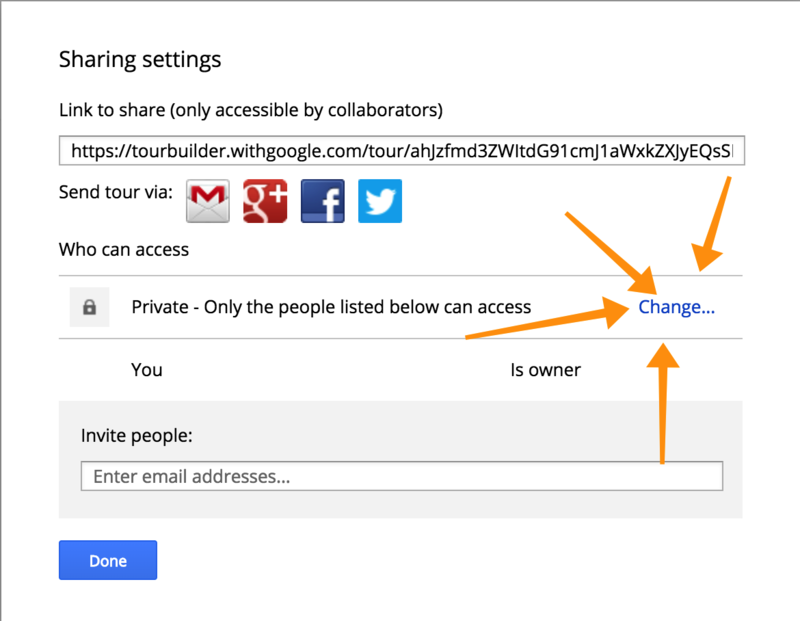 Use your BV email account to use Tour Builder. Give your tour a name and provide your first name as the author. It defaults to the introduction. Click SHARE in the top, right corner. A box appears. Click CHANGE. Change from Private to Public. Go into Canvas and locate the assignment. Paste the link into the assignment submission area. ***MAKE SURE YOU CHANGED FROM PRIVATE TO PUBLIC.